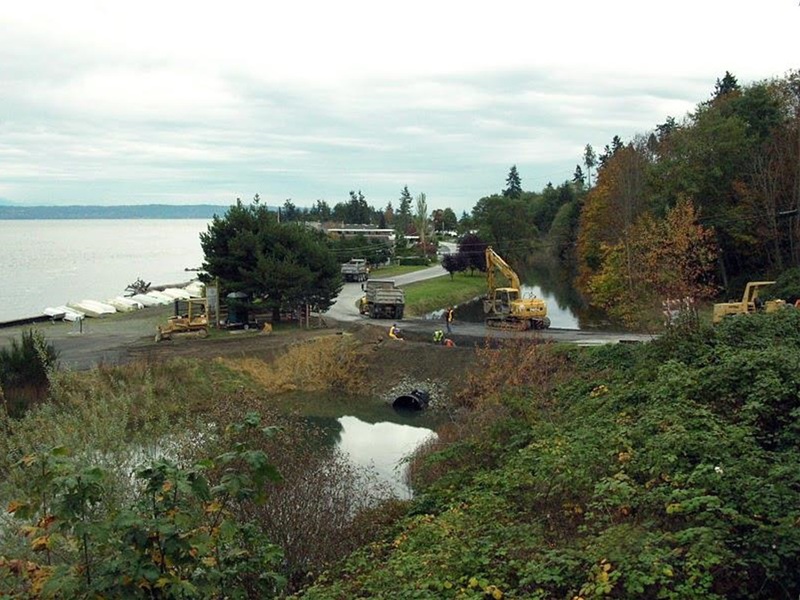 Harmsen completed civil engineering services for an emergency culvert replacement project in Island County. The project provided for the removal of a failed corrugated metal pipe and installation of a new 72” DuromaxxTM polyethylene pipe. 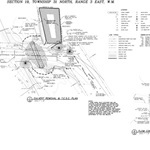 Click here to read about the use of inflatable water dams during installation. 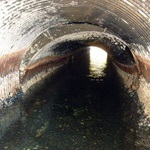 Culvert and Water - The culvert was installed in a corrosive salt water environment at a road crossing between two lagoons. 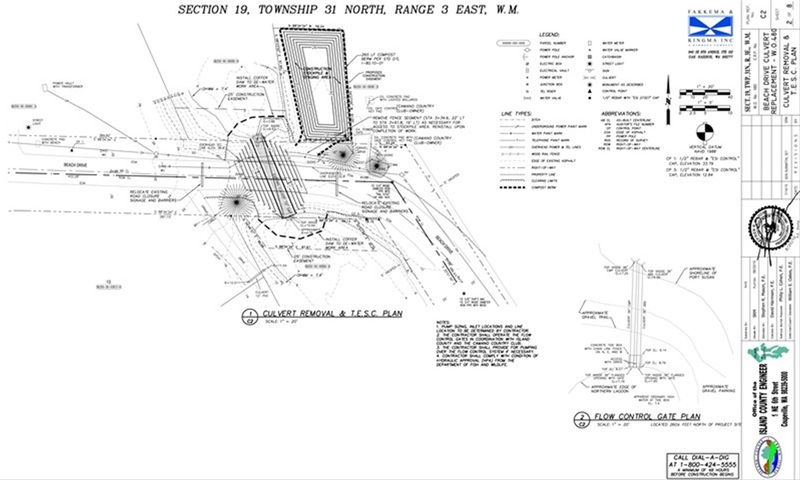 The project included coordination with the local water district for shutoff of a watermain that was replaced as it was exposed during the excavation process. Coordination - We worked closely with the County’s Managing Engineer and coordinated with the utility owners. 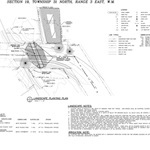 Landscape Architecture - The project also required us to provide a planting plan for both ends of the culvert pipe and quarry spalls. 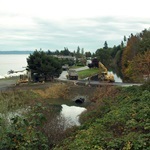 City Beach Drive culvert replacement construction photo. 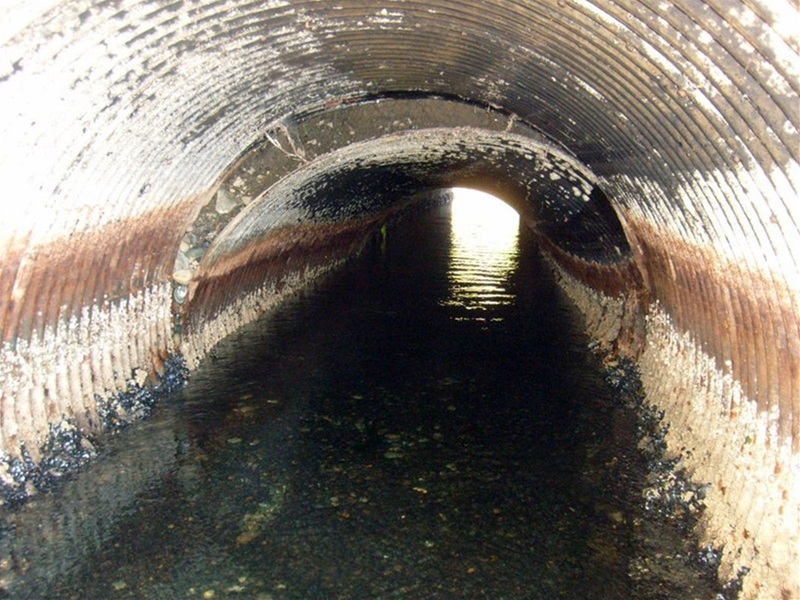 Culvert removal and temporary erosion and sediment control (T.E.S.C.) plan. 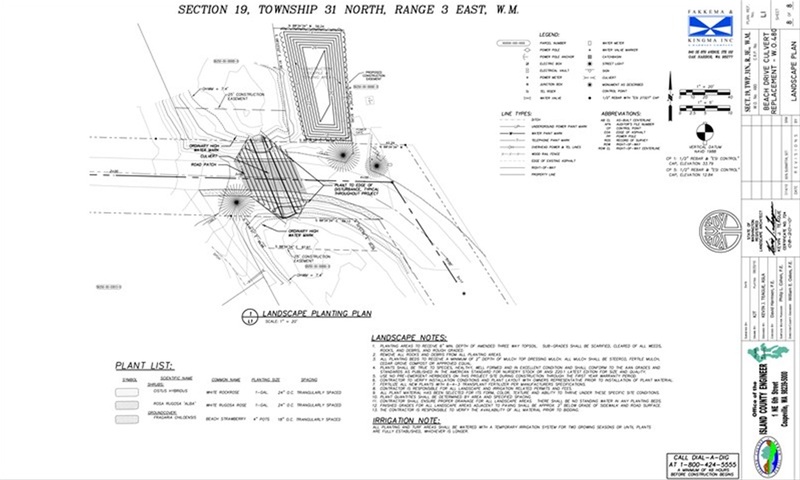 City Beach Drive landscape planting plan for culvert replacement.